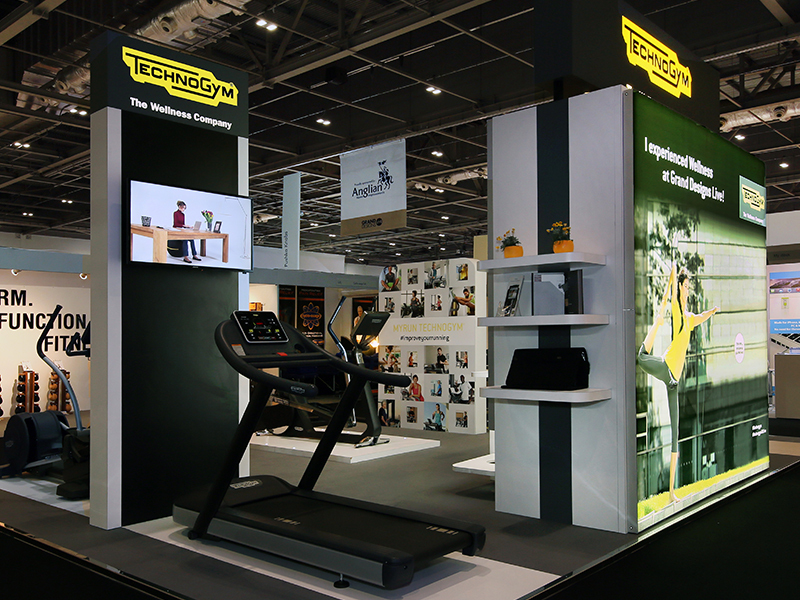 Technogym are world leaders in the design of fitness equipment for gyms, hotels, spas, rehabilitation/physiotherapy centres and beyond. 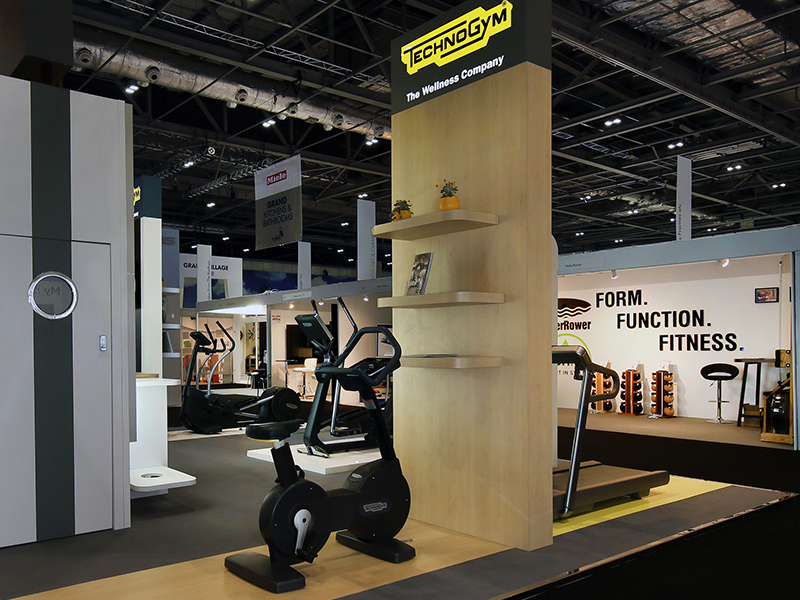 Our commission for a bespoke exhibition stand at Grand Designs Live was our second project with the company, and this time we were asked to show off a broader range of their products, while also creating an appropriate platform from which to launch their brand new MYRUN treadmill. 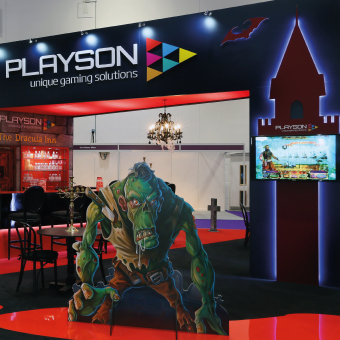 We designed a stand concept that displayed five of their products in a similar situation to how they would actually be seen in the real world, whether it was a gym environment, hotel or within the confines of a domestic home. 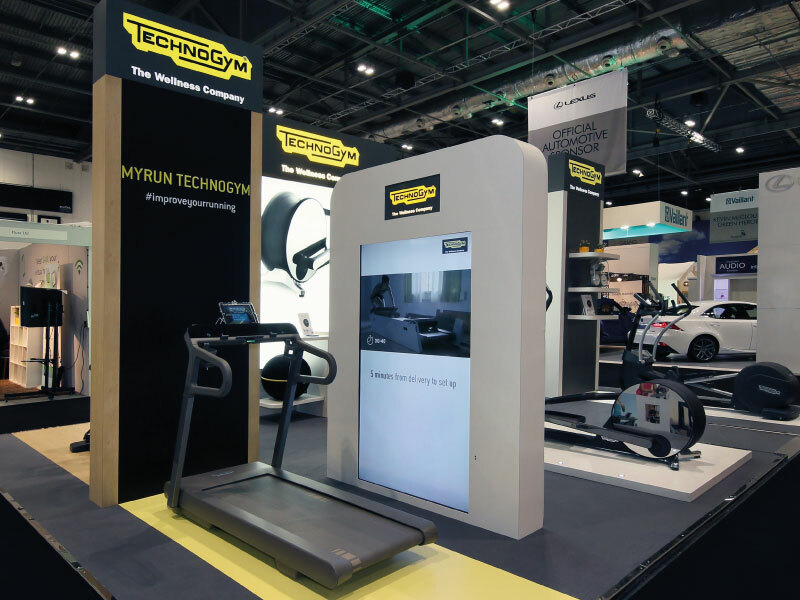 The MYRUN product launch was highlight with a custom video wall giving the impression of someone “running” on the physical MYRUN machine on display within the stand. 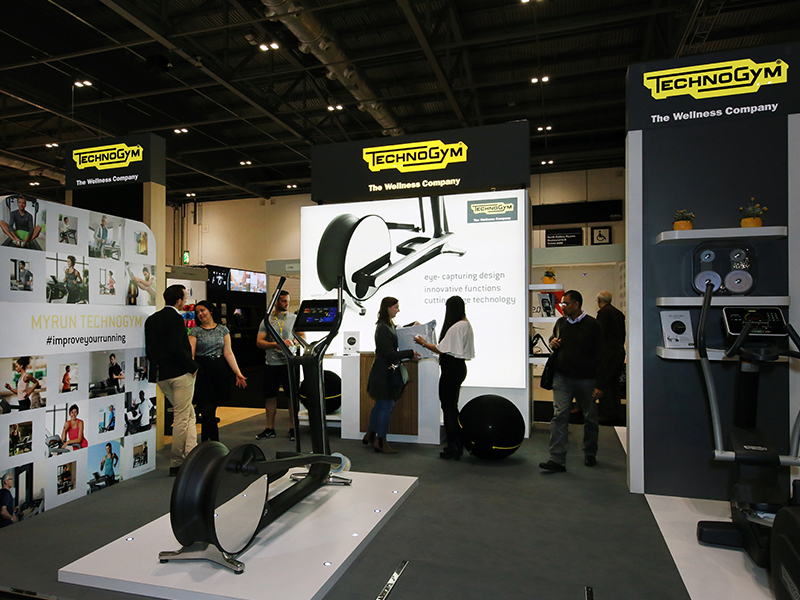 That’s not to say that we weren’t showcasing other products as ‘heroes’, though – we also positioned Technogym’s top of the line crosstrainer at the front of the stand with a bespoke platform and integrated up-lighting to make sure that it simply couldn’t be missed. 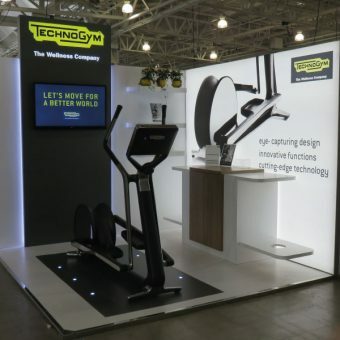 In line with our mission to reduce costs for our clients whenever possible, and our ongoing mission to be eco-friendly, we reused the Wellness Active Ball counter from our previous Technogym stand at the Independent Hotel Show. We also reused the backlit brand graphic from that show, adding another to reverse side of the stand store, as well as reintroducing the all important selfie spot to the stand. High level branding was delivered through the use of lightboxes at the top of each of the stand towers, as well as the storage area.